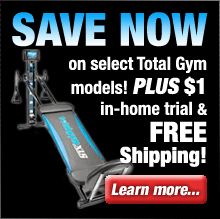 Save $200 + Free Shipping On Select Horizon Fitness Machines Purchased From Horizon Fitness! See Individual Items For Details - Limited Time Only! Horizon Fitness takes great pride in providing high quality, commercial-grade fitness solutions to the home exercise market for very competitive prices. Horizon Fitness designs and manufactures fitness equipment of the highest quality and it shows in each and every product that they offer. They have won numerous industry awards and once you experience a Horizon Fitness product it becomes evident why they consistently come out on top of consumer satisfaction surveys. Every piece of fitness equipment that they manufacture is designed to deliver exceptional results and to last a lifetime. Horizon Fitness maintains tight control over the manufacturing of their fitness equipment and all important equipment components are made in their factories. The small number of equipment components that are produced by outside manufacturers come from companies that routinely submit to rigorous inspections by Horizon Fitness. As a matter of fact Horizon Fitness routinely performs random quality inspections on their products that includes a full disassembly and reassembly in order to test every single part. 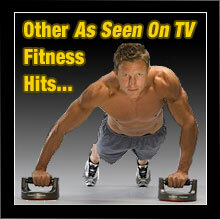 Quality is that important to Horizon Fitness! Horizon Fitness exercise equipment is competitively priced and they offer a variety of models of treadmills and ellipticals to suit most any budget. In addition every piece of exercise equipment that they produce is designed to provide trouble-free operation over a lifetime. Each Horizon Fitness product is backed by their lifetime warranty ensuring that they’ll take care of you no matter what happens. And to top it off, Horizon Fitness is so confident in the quality of their products that they offer a full 30-day money-back guarantee! With solid coverage like that you’ve got nothing to lose so what are you waiting for? Check out the selection of treadmills and ellipticals available from Horizon Fitness and find the workout solution you’ve been looking for today! Horizon Fitness stands behind every piece of equipment that they manufacture and they completely guarantee your satisfaction. Simply purchase your machine (direct from Horizon Fitness) and give it a thorough workout for up to 30 days. If you’re not 100% satisfied with the results, simply contact their customer service department for a Return Merchandise Authorization number and return the machine (including any accessories) in its original condition and packaging to receive a full refund, less return shipping & handling. Horizon Fitness T303 treadmill is Horizon Fitness’s top of the line model and represents the best that the award winning fitness equipment manufacturer has to offer in treadmill technology. It’s an exceptional treadmill that offers advanced ergonomics, a bevy of innovative features and numerous extras that will make your workout convenient and dare we say it even fun! It’s designed to quickly get you on the road to fitness and better health for a very attractive price – making it one of the best fitness values on the market today. 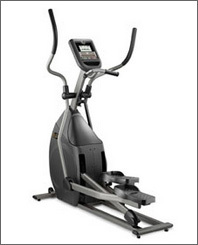 Horizon Fitness EX-79 elliptical is Horizon’s top of the line elliptical fitness solution. It’s a power-packed elliptical machine that includes all of the top features and innovative thinking that Horizon Fitness has to offer such as the SIXstar Certified frame, Nike + iPod workout tracking technology, and Horizon’s Advanced Goal Center. The EX-79 is designed from the ground up to provide exceptional comfort allowing you to workout longer and harder for a powerfully effective workout. When you add up all of the advanced features and functionality that the Horizon Fitness EX79 elliptical offers it quickly becomes apparent that it’s one of the most full-featured elliptical machines on the market today. 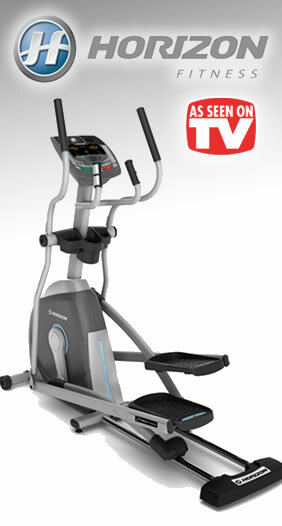 Horizon Fitness EX-69 elliptical is an exceptionally well equipped fitness machine with an impressive array of cutting-edge features. 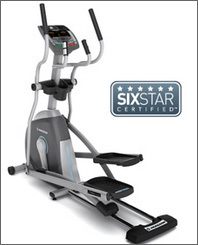 SixStar Certification, advanced electronics and engineering, and Horizon’s meticulous attention to detail all add up to an elliptical machine that’s head and shoulders above the competition. 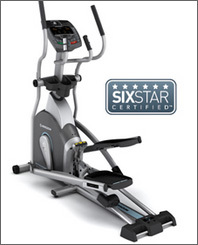 The EX-69’s patented SIXstar certified frame and platform provides an exceptionally comfortable and effective elliptical experience which enables you to workout longer and harder with minimal stress and impact on your body. Additionally the EX-69’s ZEROgap overlapping pedal motion provides ideal pedal placement for eliminating stress that can occur on your hips and back. Horizon Fitness EX-59 elliptical is a feature rich and affordable SIXstar certified exercise machine that will have you on the road to fitness and better health in no time flat. 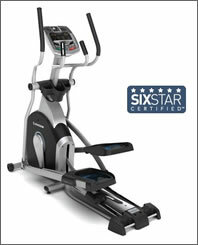 The EX-59’s patented SIXstar certified frame and platform provides an exceptionally comfortable and effective workout. 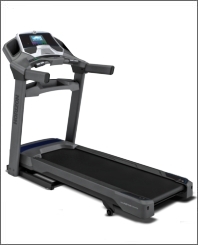 Other features of the Horizon EX59 elliptical that make it stand out among the competition include heart rate monitoring functionality so you can work out at your target heart rate, an extensive selection of fitness programs and resistance settings ensuring a constant challenge, the multi-LED display for keeping track of important settings and stats, and the ComfortFIT footpads which are vastly superior to ordinary footpads. Horizon Fitness EX-57 elliptical provides the essential functionality you expect in a top quality elliptical plus some extra features that you would normally only find on more expensive models. For instance the Horizon EX57 elliptical includes Horizon’s stride and pedal system which uses pivoting foot plates for a more natural and very comfortable elliptical motion. It also features a multitude of fitness programs and resistance settings to keep you challenged every time you work out, heart rate monitoring, and a multifunction LCD display for keeping track of important settings and stats. The EX57 elliptical is an exceptional value and a great way to start on the path to fitness and better health without breaking the bank. Horizon Fitness T202 treadmill is packed with all the essential features you’re looking for as well as a multitude of extras. All of this adds up to an exceptionally well-equipped treadmill that’s designed to help you burn off those excess pounds quickly and efficiently. In addition to the innovative Nike + iPod functionality which allows you to save your workout results to your iPod or iPhone while syncing your stats and progress online, the T202 also features Horizon’s PerfectFLEX variable cushioning system which provides a proper balance of shock absorption and support. 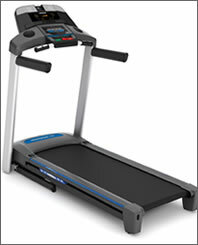 The T202 also includes the FeatherLIGHT lift system which makes folding your treadmill virtually effortless. 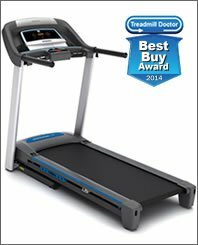 Horizon Fitness T101 treadmill, a 2014 Treadmill Doctor Best Buy award winner, is a full-featured fitness solution offering advanced functionality and exceptional durability for an attractive price. The T101 features Horizon’s PerfectFLEX variable cushioning system which is an advanced cushioning technology that offers an exceptionally comfortable running experience by providing a proper balance of shock absorption and support. The enhanced level of comfort provided by this treadmill means that you get a great, low-impact workout that allows you to run longer and lose more weight in less time. And the T101’s FeatherLIGHT hydraulic lift system makes folding your treadmill to save space quick and effortless!